Sand Barrels - RoadSafe Traffic Systems, Inc. Sand barrels or “sand attenuators” are used primarily at bridge abutments, cantilever posts, gore areas and at barrier wall-ends and are simple to move and install (certified to meet the crashworthy requirements of NCHRP 350). Sand barrels absorb the energy of a crash and reduce collateral damage to other vehicles and injuries to traveling motorists. RoadSafe can provide different configurations, styles and weights to meet customer needs. Installation and removal services are available. 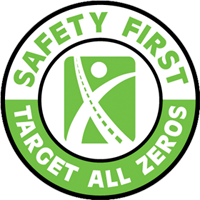 Please contact a local RoadSafe branch for more information.